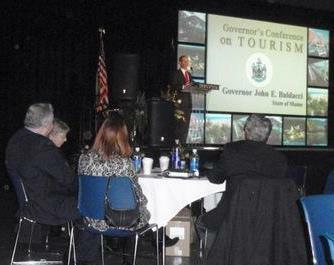 Governor’s Conference on Tourism, 2010 The Maine Experience – Maine. Ocean. Camping. Tuesday I went to the tourism conference in Augusta…mostly to see friends I catch up with only once or twice a year…but also to hear industry gossip and be lectured on the latest Tourism trends. Jane Mount of the Davidson Peterson data collecting company said that Frugality is the New Norm…we probably paid a lot of tax dollars to learn that. The four main reasons people like to come to Maine: friendliness, overall experience, customer service and value for dollars spent…yup, I agree. It was a pleasant surprise to see the State’s new marketing campaign: There’s More to Maine…still the state pushes our 6 miles of white sandy beaches and the overcrowded, obvious tourist destinations…and completely ignore our vibrant camping industry and the amazing crafts industry that I’m so proud of…but that’s a rant for another time. The marketing campaign itself is bright, attractive and feels fresher than usual. If you check it out, let me know if you agree. The major pushes will be in the Boston and New York markets…everyone else will need to visit the official Maine Tourism site to look for themselves or try Boston.com until April 1st. Is this how the big boys do it? 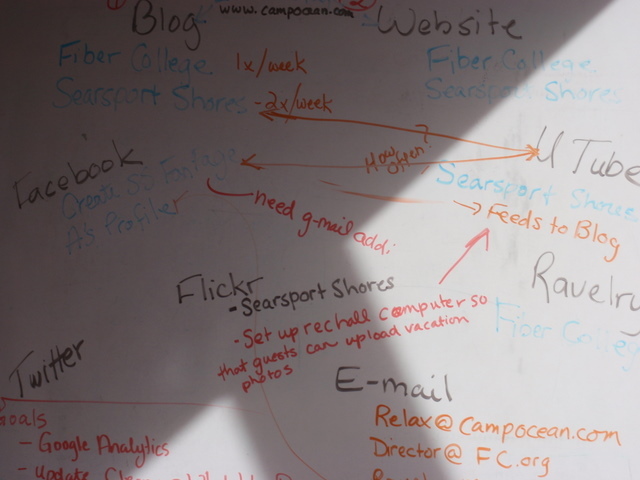 I took educational sessions on Communicating the Maine Experience Through Social Media Marketing and The Maine Experience Begins with your Website~Take it to the Next Level. Both were taught by passionate, well informed men…both made me and many of the audience members want to run out of the classroom with our heads in our hands…there’s simply no way to keep up with it all…and run a business with clean bathrooms and time for a good cup of coffee…Facebook, Twitter, MySpace, Ravelry, blogs, YouTube, Google analytics, profile pages, keywords and search engine spiders…I can’t even keep my passwords straight on my e-mail accounts…and now they want me to have a smart phone and tweet?